Turmeric and milk thistle are herbs, both of which have been used for more than 2,000 years to treat a variety of health issues. Although these herbs have few traits in common, they're sometimes associated as a treatment for liver issues. Most of the benefits for the liver, however, are associated with milk thistle. Knowing the potential benefits for each herb can help you make an informed decision about their use. Consult a qualified health care professional before taking either herb in supplement form. Milk thistle is also known as Silybum marianum. It has traditionally been used to treat liver, kidney and gall bladder problems, according to the University of Maryland Medical Center, although it's most commonly associated with liver problems. The active ingredient in milk thistle is silymarin and is responsible for most of milk thistle's beneficial properties. Silymarin is a flavanoid extracted from milk thistle seeds and is thought to benefit the liver by helping to protect and rebuild its cells. Milk thistle also helps reduce inflammation and acts as a strong antioxidant, as does turmeric. Turmeric, also known as Curcuma longa, is commonly used as an ingredient in cooking. It's what gives curry its distinct flavor, as well as its yellow color. It has also traditionally been used as an anti-inflammatory, a treatment for skin issues and as a treatment for digestive and liver problems. The active ingredient in turmeric is a powerful antioxidant known as curcumin, which helps protect cells from free radicals that can damage cell membranes, possibly leading to cell death. Research backs up the potential of milk thistle in treating liver disease. A study published in 2012 in Current Pharmaceutical Biotechnology noted that long-term administration of silymarin increased survival of patients with alcohol-induced liver cirrhosis, as well as reduced tumor cell proliferation and insulin resistance. Another study, published in 2016 in Pharmaceutical Biology, found that milk thistle supplementation decreased inflammation in mice, which also improved diet-induced liver damage and insulin resistance. 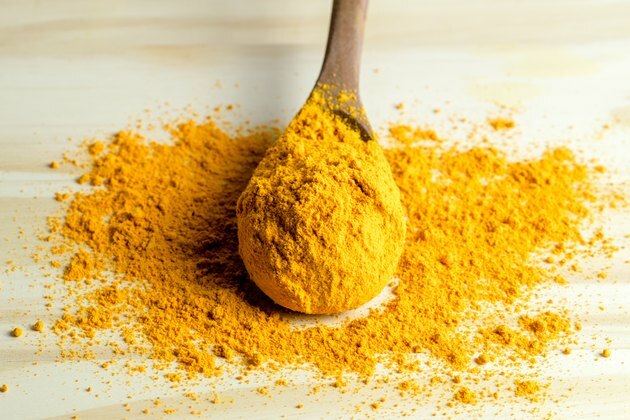 Additionally, a review of studies published in Current Pharmaceutical Design determined that evidence supports the use of curcumin supplementation in the treatment of non-alcoholic fatty liver disease. Turmeric and milk thistle in supplement form is generally considered safe, although potential risks exist. Taking milk thistle supplements isn't recommended for pregnant or breastfeeding women, or for those with a history of cancers that are hormone-related. If you're allergic to other plants, including ragweed, chrysanthemums, marigolds, chamomile, yarrow, or daisies, avoid milk thistle. Turmeric is safe when consumed in food, but you should avoid it in supplement form if you have stomach ulcers, are pregnant or breastfeeding or have diabetes. Medical News Today: What are the benefits of milk thistle?